1. Provide RFQ package to Commodity purchasing for all new parts according to latest valid project BOM. 2. Verify free capacities for C/O parts at supplier. 3. Lead sourcing board and give due dates to commodity buyers including target prices. Escalate delays within RFQ phase. 4. Lead supplier program kick-off meetings with High-impact suppliers. 5. Lead High impact assessment according to internal guideline. 6. Make supplier evaluation every 3 months. 7. Negotiate piece price after design changes and level of tooling investments. 8. Release tool orders for design changes and initial tool investments too. 9. Release purchase orders for samples according to project requirements. 10. Request supplier Tool progress report and check tool readiness with Tool coordinator support. Manage tool audits at supplier. 11. Support PSW according to internal guideline and support project team when escalated due to supplier passivity. 12. Support project management with EnterProj inputs like supplier sheet, LRR, EP tasks. 13. Manage Risk/Issues/Opportunities (RIOs) within EnterProj to escalate program issues within the organization. 14. Make Capacity studies according to changed mix rates and volumes. Share piece price and investments impact with Program manager to share it with customer. 15. Support VLS MP&L with updated Scheduling agreements within project launch and during SOP+90 days. 16. Update project VQF DPO and YOY before each Gate review. 17. Program handover to Current/Past buyers after SOP+90 days. Please note that candidatures that don’t match with the requirements will not be considered.Please send your resume in english. Manage a growing software development and validation team in the India (Pune). Cooperate with other teams from hardware, optical, mechanical engineering and manufacturing. Take an active role in the SW development and test standardization process (SW libraries, design and code reuse strategies and modularization). Ensure that the SW team has sufficient number and quality of working tools and plan for future needs. Master degree – in electronics engineering with a focus on embedded software development or several years of appropriate work experience. -The Validation Engineer joins the international lighting controls team as SW validation engineer and reports directly to the department manager and local team leader. o Thoroughly analyze and review the SRD (System Requirements Document). o Primary responsible to create the system test-specification document and test-plan according the product-, customer-, quality- and legal-requirements. o Communicate with an international and interdisciplinary engineering and project team to review and understand the project and product requirements. o Design and build setups for load and vehicle simulation and measurements. o Support the software development with regression testing during the software development phase. 1. As a member of the team responsible for the implementation of the objectives assigned to him for the sections. sections entrusted to it supports the activities necessary to the appropriate quality, time and cost. Is responsible for the safe operation of production, manages and organizes the work of his subordinates. 2. Effective communication with internal and external partners to share information, respect workplace safety and health rules and follow the manager’s instructions. 3. manages and is responsible for the implementation of the indicators and production centers of the final results, manages daily performance levels of performance standards, balancing of production lines, controlled deterioration and working with the utility rejects and manages operating records and continuous improvement. 4. adheres to TP, evaluates the quality of production, is responsible for ensuring production plans for its segment and monitors compliance with customer requirements and is responsible for the internal representation of customer interests in relation to quality requirements. 5. manages and controls the use of equipment overheads, refill costs for suppliers to control waste management and upgrading production. 7. Manage the upgrading of staff training and skills. 8. manages and is responsible for the results of the economic management of the production centers. 9. manages and is responsible for the use of Kanban and other Lean manufacturing methods, and manages and implements the production shop activities in response to OPEX, the monitors and the costs of checks carried out by the sub-contractors. -indices, and is responsible for using IL employees according to production plans. 10. Manages and controls reporting bonuses, zpaltňuje presence of their subordinates in the Cominfo program, inspects and approves overtime. 11. Controls the preventive maintenance schedule compliance, OEE use, manages and is responsible for the installation and commissioning of machinery and equipment. 12. sections Pre-assembly management and administration, takes care of the execution of activities necessary for the operation of pre-assembly, is responsible for carrying out calibrations for products and indicators on the centers of CZ012001, CZ012301, CZ012302, CZ012303 , CZ012002, CZ012201, CZ012101. 13. is responsible for the order and leads the child to correct workplace safety to labor and fire regulations, responsible for compliance with laws and regulations concerning the handling of harmful substances, poisons, waste management . 14. other instructions Directs a supervisor of activities that are not in conflict with those of the position. 15. In their work in compliance with the regulations on OSH; internal regulations and applicable legal standards, ATPM responsibility and control and with the workshop.
. Governed by the group in respect of standards. Ensures their organization on the timing.
. Governed by the group after the methodical, so that all staff have the necessary knowledge and skills to carry out the audit and survey work on all shifts.
. He/She is the first contact for quality engineers. In the case of receipt of a complaint from a customer is working on the introduction of immediate measures, training of workers, and the transmission of information to the other conversions.
. He/She Controls the process of calibration professionals. With the support of the shift of Auditors proposes products and defects which will be available for calibration, and their approval with the engineers of the quality. Ensures the training of all workers, and the subsequent evaluation of the calibration. Works with the production when setting corrective measures in the event of non-compliant calibration.
. He/She Leads the group in respect of Shift Leads/Auditors to cooperate with other departments-production, technology, industrial engineering when solving the rejections.
. He/She Leads the group in respect of Auditors to be fully trained in control and measurements and be fully in the process of inspection and measurement across shifts.
. He/She Ensures the safe launch for the first programs on-site and leads the analysis of data, CAPA implementation as well as effectiveness measurement, standardization and generalization.
. In case of non-compliance which can endanger customer satisfaction, he/she has the right / obligation to stop production.
. He/She ensure the realization of product audit, LPA and process verification.
. He/She ensure that all process deviations (ESF-1, FDI) for the assigned area (molding, decorating and/or assembly) are correctly filled, approved and then closed in proper manner and in time.
. He/She ensure that all the procedures and instructions documented in the Quality System are followed up on the assigned area (molding, decorating and/or assembly).
. He/She promote a philosophy of zero defects through the definition of preventive actions based on the quality system.
. Decision-making authority in critical conditions that endanger the quality of the product and the specific requirements of the customer. The program manager is accountable and responsible for coordinating and leading global, cross-functional project teams to meet or exceed project objectives and customer deliverables in relation to quality, profitability, cost, timing, and resource planning. Additionally, the program manager manages project scope, risk, communication, and reporting activities from project inception through launch. Establish strong customer relationships – including the OEM Purchasing, Program Management, Engineering and Quality departments. 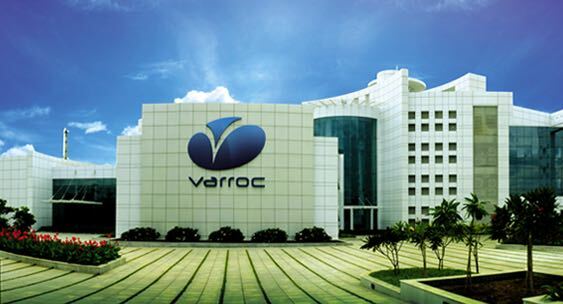 Single point of contact to customer for Varroc actions. Responsible for implementation and communication of action plans to meet the OEM’s cascaded objectives. Lead internal operating system processes and procedures for project teams. Lead gate reviews for both pre-reviews and executive gate reviews. Ensure projects are complete and approved prior to review. Project Scope Management – Lead development, management, and confirmation of customer requirements including Statement of Work and Design Change Requests. Communicate to customer through customer warning/impact letters when customer related decisions jeopardize Varroc’s ability to deliver to project objectives. Project Timing Management – Ensure project/customer timing is met. Communicate status to customer and internal team members. Program Cost Management – Ensure project meets profitability targets established during gate 2 program commitment targets. Establish profitability roadmaps to meet objectives. Program Risk Management – Establish Risk Mitigation Plans. Lead cross-functional engineering/manufacturing/purchasing team meetings and coordinate efforts. Single-point-of-contact with customer for program issues, timing, change control. Excellent communication skills in French and in English. Frequent travel; overtime expected including several evening meetings with global teams. After a period of 6 to 12 months in our French office in Vélizy-Villacoublay, the Program Manager will be located in Varroc office in Tangier. -Knowledge in Order-To-Cash and integration to other SAP modules (MM, PP, FI/CO, IM, WM) in all business scenarios. -Create functional specifications for application development objects (interfaces, conversions, enhancements and reports and forms) and guide the development of those programs within the development team. -Expertise in SAP tables, Fields, ABAP Query: Simple reports, debugging, user exits. Expertise in SAP tables fields, ABAP Query: Simple reports, Debugging, User exits. 1. He/she cooperates on Analyzes with the feasibility of structural design of new products and has retrospectively influenced structural design to optimize mold design with respect to the type of injection molding and the plastic injection molding process before OK this tool. 3. He/she analyzes the materials and performs the technical and economic evaluation of the proposed technologies and construction. 4. He/she works with New Business Pursuit on new store calculations. 5. He/she applies lesson learn from previous projects to new products. 6. He/she proposes the purchase of a specific technology facility. 7. He/she proposes technical specifications for purchasing new technologies. 8. He/she identifies needs for sample and prototype production to validate designs and change them. 9. He/she evaluates and analyzes the result of new technology trials and suggests other solutions. 10. He/she cooperates with suppliers of key technological equipment and tools to ensure joint development and cooperation (development and production of next-generation equipment), maintains a supplier database, regularly checks the market situation of the commodities (potential suppliers, market prices, trends in the area, bench marking). 11. He/she manages pre-acceptance and acceptance of machines, equipment, tools, collaborates with the certification series to eliminate any defects and shortcomings completed by device transfer and production documentation. 12. He/she manufactures and maintains a manufacturing guide line for plastic injection and implements it in practice. 14. He/she performs other related activities as instructed by the supervisor. Ensures the correct setting of the SPC database from the point of view of measured points, tolerances, etc. 1. He supervises the production process. 2. He makes sure that the products are manufactured in time and quality. 3. He coordinates, manages and monitors the organization’s subordinate departments. 4. He ensures that planned KPIs for efficiency and performance are met or exceeded. 6. He manages and controls production costs, controls and reduces losses on various production materials, non-production items, labor consumption, and is responsible for direct manufacturing costs. 7. He ensures that production is cost-effective. 8. He revise the financial statements and key financial indicators of production. He works with financial data and uses them to improve the profitability of the plant. 10. He monitors the state of the WIP plant. 11. He prepares an effective strategy for the financial benefit of the plant. 12. He prepares and tracks improvements in reducing planned overtime work. 13. He improves the organization’s procedures and policy to support organization goals. 14. He performs and manages continuous improvement of activities, through processes of change management and best practices. 15. He forms and implements departments and organization policies and procedures to maximize performance. 16. He monitors compliance with rules, regulations, legislations and procedures. 17. He optimizes resource use by implementing an efficient production organization. 18. He ensures that health and safety policies are followed. 19. He plans human resources. He is involved in the organization of recruitment and the placement of necessary staff. He prepare work plans. 20. He creates organizational structures. He delegates tasks and responsibilities. He monitors and evaluates employee performance. 21. He monitors the competence of the subordinates and provides leadership and development as needed to achieve goals. He solves personnel problems based on data analysis (detail review, solution search, recommendation for action). He coordinates and controls the work of various departments involved in the production, storage, valuation and distribution of products. 22. He monitors performance and implemented improvements. He covers coordination and communication between support departments. 23. He ensures product quality. 24. He provides technical support when needed. 25. He cooperates with top management. 26. He participates in the development of strategic plans for operational activities. 27. He introduces and manages operational plans. 28. He performs other activities according to the instructions of the superior, which do not contradict the positions. Excellent knowledge of wage accounting gained through the practice of the manufacturing company. Very good knowledge of legislation related to payroll accounting, incl Labour Code. Very good knowledge of PC, MS Office (especially Excel). Please note that the candidatures that don’t match with the requirements will not be considered. Performs testing DVP, PVP and IPR according to requirements including the issue reports in JC and AJ. She/He is responsible for preparation and coordination of Quality Function Deployment (full responsibility, 70 % of total work performance). Uses Apparatus according manuals, it kept in order and serviceability (full responsibility, 20 % of total work performance). Participates in the training of Junior Laboratory Engineer for regular testing for production (shared responsibility, 5 % of total work performance). Cooperates with contracting authority requirements for nonstandard testing (shared responsibility, 5 % of total work performance). Participates in the preparation labs for customer audits and quality audits, operates according to the principles TS / ISO 16949 and ISO 17025, follows the established procedures and methodologies (shared). Performs other activities according to the superior’s instructions, which do not contradict the positions of the position. She/He is responsible for complaint/warranty field management and coordination of dedicated customer/s. Her/his main goal is to keep the customer satisfaction concerning the Varroc internal standards and goals. (responsibility 30 % of total work performance). She/He is responsible for communication to customer based on this job description and tasks using standard or specific communication tools and in time and keeping the Varroc and customer interests. (responsibility 20 % of total work performance). She/He coordinates, updates and communicate all data and information by standard and specific tools for evidence. (responsibility 15 % of total work performance). She/He regularly prepare the data for Warranty monthly report in specific and requested form of evidence. (responsibility 5 % of total work performance). She/He is responsible for complaint and coordination management to supplier based on Warranty/Customer complaints. (shared responsibility 10 % of total work performance). She/He is responsible for regular or irregular business trip to solve and coordinate the parts or customer requests on the specific or requested place locally or internationally. (shared responsibility 10 % of total work performance). She/He is responsible for effective transfer of identified information or data to new programs by specific tools or using the FMEA or Lessons learned. (shared responsibility 5 % of total work performance). She/He is responsible for effective transfer of identified information or data to new programs by specific tools or using the FMEA or Lessons learned. (responsibility 5 % of total work performance). She/He performs the another tasks related to manager instruction, that is not against the above described job description. During her/his position keeps the rules of working safety, fire protection and the valid government regulations. Experience in the field – Process quality experience preferable, other technical background acceptable. Leadershop experience – Only coordination and indirect reporting leading and responsibility. International experience – Not neccessary but benneficial. He/she analyzes the manufacturability of designer designs for new products and has retrospectively influenced structural design to optimize mold design and manufacturing process of injection molding before OK to tool. He/she cooperates on optimizing design proposals with PD engineers and co-ordinators for external tool shops. It processes a feasibility study. He/she analyzes the materials (mold flow analysis) and performs the technical and economic evaluation of the proposed technologies and construction. He/she works with New Business Pursuit on new business calculations. He/she applies lesson learn from previous projects to new products. He/she participates in training and professional seminars to increase the level of professional and language skills. He/she performs other related activities as instructed by the supervisor. During a quotation phases she/he is responsible for revision of customer specification focused for Testing and robustness items. (Shared responsibility 5 % of total work performance). She/he is responsible for coordination, transfer and communication of Special customer characteristics (SCCAF, Supplement-K etc.) (Responsibility 10 % of total work performance). She/he is responsible for preparation, timing, coordination, customer presentation and approval of DFMEA and Robustness study (Special and customer characteristic transfer and revision), including Poka-Yoke verification. (Responsibility 20 % of total work performance). She/he is responsible for transfer, communication, coordination and approval of DFMEA identified characteristics to process side by creation of List of special characteristics (SCIF). (Responsibility 20 % of total work performance). She/he is responsible for creation, transfer, coordination and communication of test specification to Varroc and supplier side. (Responsibility 5 % of total work performance). She/he is responsible for preparation and timing coordination of all testing fixtures and supporting devices (connectors, LIN boxes, screws etc.) including capacity management. (Shared responsibility 10 % of total work performance). She/he is responsible for preparation of DV/PV, EMC, ENV test plans, transfer, coordination (MS Project) and communication of testing package (Customer, Varroc, Legislation). She/he is responsible for approval and communication to customer and affected parties. (Responsibility 25 % of total work performance). She/he is responsible for annual test plan. (Responsibility 5 % of total work performance). She/he performs another tasks related to manager instruction, that is not against the above described job description. During her/his, position keeps the rules of working safety, fire protection and the valid government regulations. Experience in the field – PD Project development quality preferable, Process quality experience acceptable. Leadership experience – Only coordination and indirect reporting leading and responsibility. International experience – Not necessary but beneficial. -Report to the PD Manager and align with him technology, design strategy, resources. -Coordination of the optics design including workflow, process-adherence, resource and capacity planning from quotation phase to serial introduction. -Manage internal process compliance and continuously support improvement of processes and lead technical design reviews. -High level of computer literacy. -Coordination of the mechanics/ design work including workflow, process-adherence, resource and capacity planning from quotation phase to serial introduction.